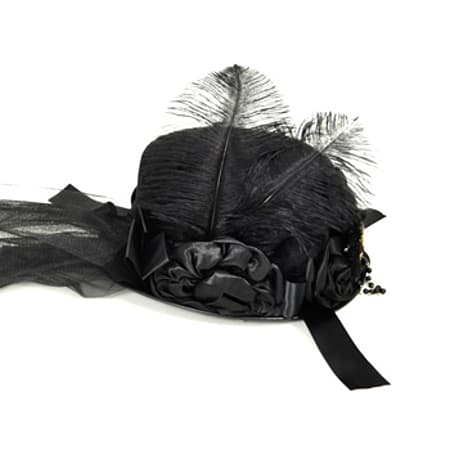 This insane S.D.L Cameo Rose Net hat has been creatively designed to exaggerate your image and give you an eccentric edge that we are certain you won't have seen anywhere else. 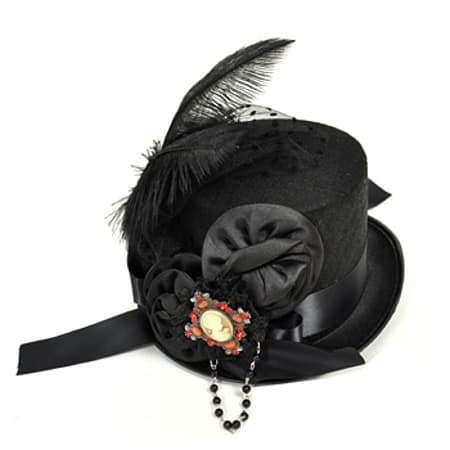 Its random mess design works brilliantly on this hat, throwing roses and feathers all into one to create an "out of this world" accessory you will want to wear every day. 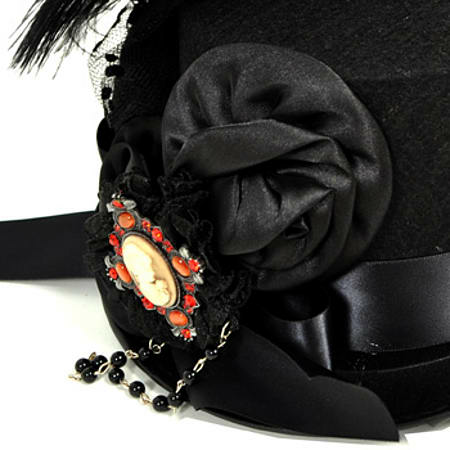 Black all over, this S.D.L Cameo Rose Net hat can be worn with an array of different styles, so you can effortlessly punk up any look and find yourself the perfect emo image. Made with high quality materials, this S.D.L Cameo Rose Net hat has been designed to never let you down when it comes to keeping that smooth finish and neat shape. Its long lasting durability ensures you can wear this awesome accessory again and again without it losing that comfy shape and excellent detail easily. Complete with features that you don't usually find on an accessory, this S.D.L Cameo Rose Net hat has a completely alternative look that will get heads turning everywhere you go. Coming from a brand that is so eccentric, you can be certain that this S.D.L Cameo Rose Net hat will get you noticed and will instantly make your look louder. Perfect for all events, it will brighten every room you enter, so whether you're heading to an elegant evening or just a social with your friends this is the accessory for you.